This stroller 4 places Boutique nounou brand is the Ultimates in usability. The only French brand of stroller with all French and European standards. 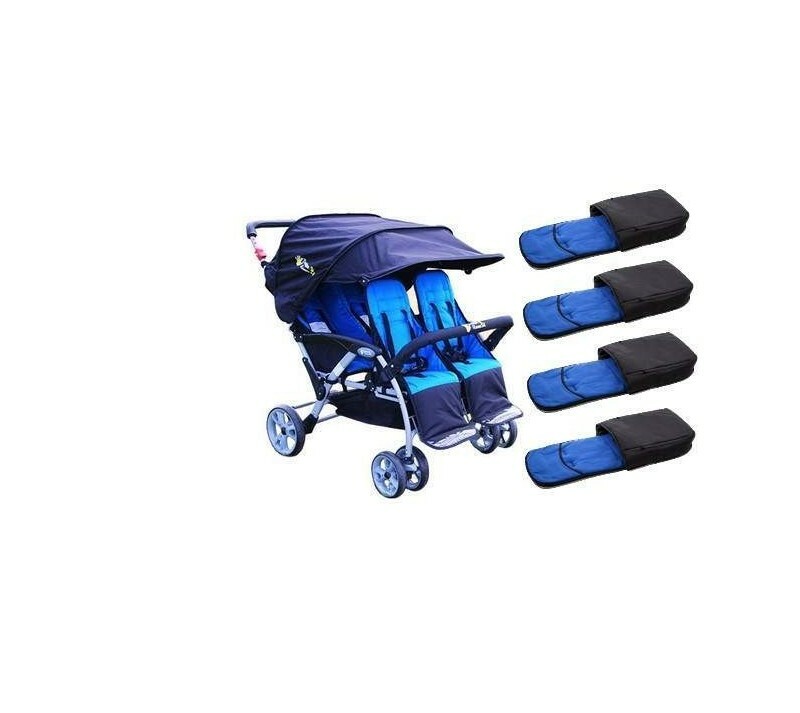 Better than triple stroller, it is shorter and more manageable! Each room is equipped with comfortable seating positions with several independent inclinations to 3/4. Each seat is equipped with a water repellent coating, washable very simply. Each seat is equipped with a full set of safety belts 5 points that only an adult can undo. His new look more "sporty" puts the taste of the day and even more superior handling of our older models. The stroller can accommodate children up to 15 kg for a height of 1,01m, while being the least cumbersome stroller compared to its competitors. Folds easily in 3 steps for storage. sturdy frame lightweight tubular steel for easy maneuvering. manufacturing quality, durable for early childhood professionals, day care centers and administrations. 1 large storage compartment, brake pedal lock for added security. A large hood for a greater protection of children, especially for infants who can find their place at the back in the bucket seats, well protected from the wind. all-terrain tires for any surfaces. 6 tires that allow a fair distribution of weight for a simpler and less heavy use. A large removable hood protects children from UV rays, rain and wind for optimal comfort. easy installation in less than 30 minutes. "Buy directly from the manufacturer and a more reliable!" Delivered with integral rain protection. Delivered with 1 seat reducer has to choose between the four models proposed, retail product in stroller section. This stroller is the most suitable among childminders, for its robustness and weight making it the least cumbersome stroller in its field. Complies with all French and European standards of childcare. Spacing between the front seats and rear 15cm, 22cm seat cushions for comfort. Spare parts and warranty, available immediately on our website.